National Suicide Prevention Month begins on September 1st. 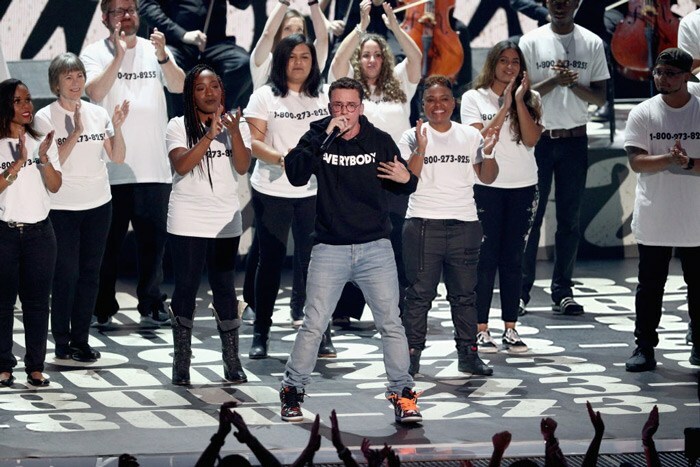 MTV got an early start to awareness month with a VMA performance by Logic of his song “1-800-273-8255.” The song’s title is the same number to the National Suicide Prevention Hotline. The performance also included Alessia Cara and Khalid, as well as a group of suicide attempt survivors who wore t-shirts up on stage with the number to the suicide helpline. The opening lines of song are from the perspective of someone in the need of help. As the song continues, the next lyrics are sung from a place of support, specifically the perspective of a suicide hotline crisis worker. The song calls attention to the importance of suicide and mental health. A recent study which included 32 children’s hospitals across the United States revealed an alarming increase in self-harm and suicidality in children and teens ranging from ages 5 to 17 over the past decade. 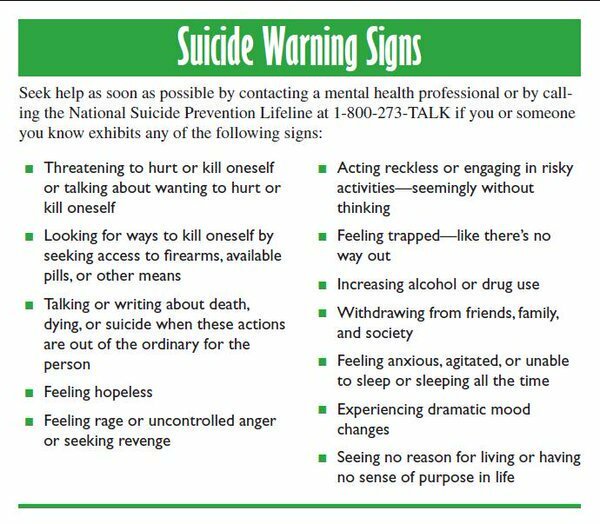 When someone expresses suicidal thoughts, it is critical to not dismiss their feelings or minimize the weight of the issues preventing them from wanting to live. The Center for Disease control lists death by suicide as the number 1 cause of death in the 15-19 age group. According to the National Data on Campus Suicides, ‘1 in 12 college students have written down a suicide plan as a result of stresses related to school, work, relationships, social life, and still developing as a young adult.’ The trend for suicide deaths is on an upward climb. A 2015 study by the Center for Disease Control states there were twice as many suicides than homicides in the United States. It’s time we end the stigma and myths surrounding suicide attempt survivors “doing it for the attention.” Suicidal thoughts may be an ongoing struggle instead of a one-off event to prevent. In this case, we need to arm loved ones and at risk individuals with information as well as tools and resources to manage their mental health status. In addition to the National Suicide Prevention Hotline, another useful resource is the Crisis Text Line in which individuals can text a trained mental health professional and typically receive a response back within 5 minutes., You can begin by texting “START to 741741”. If you have not seen this powerful VMA performance, you can watch it below. What did you think of Logic’s musical performance? What do you think about his message? Also, if you or someone you know is at risk for harming themselves, please let someone know. Please visit our Crisis Support Resources page for more information.